The International Space Station is the most expensive object ever built at $160 billion. 2. The International Space Station (ISS) can orbit "straight through" an Aurora event. When it happened on 23 February 2016 Timothy Peake, a European Space Agency (ESA) astronaut aboard the ISS, said it was "eerie but very beautiful." 3. When the ISS flies above an Aurora they have to replace all the hard drives in their laptops. 4. The International Space Station continues the maritime tradition of having a ship's bell. It's rung when visiting crew arrive on board. 5. The International Space Station always sees the sun "rise" once every 90 minutes. 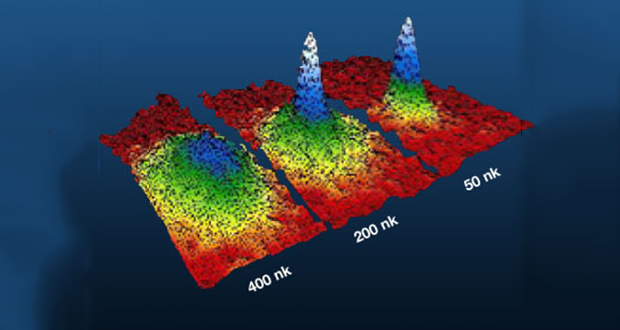 There is a lab on the International Space Station dedicated to freezing atoms to nearly Absolute Zero in order to study Bose-Einstein condensates, the 5th form of matter. 7. In 2014, the International Space Station had to move 3 times in order to avoid being hit by space junk moving at 17,000 mph. 8. The International Space station is the size of a football field and can be spotted in night sky, as it is the third brightest object in the sky and orbits around the world every 92 minutes. 9. There are “oxygen candles” also known as Vika oxygen generator that are sometimes used aboard the international space station and when ignited it provides enough oxygen for one person for 24 hours. 10. On the International Space Station, there is a hard drive (Immortality Drive) that serves as a time capsule to preserve human DNA, in case some global cataclysm should occur on Earth. Among the DNA included on this drive are Stephen Hawking, Stephen Colbert, and Lance Armstrong. Before the ISS switched from Windows XP to Linux computers, Russian cosmonauts managed to carry infected USB storage devices aboard the station spreading computer viruses. 12. The ISS uses gyroscopes to adjust its position to keep its solar panels facing the Sun. 13. The ISS experiences temperature fluctuations from 200°F to -200°F as it orbits the Earth. 14. The International Space Station is equipped with telepresence robots, meaning ground controllers can perform maintenance, conduct research, and do other tasks unsupervised while the crew sleeps. 15. The International Space Station enters a so-called "Night Glider Mode" when it is shaded from the Sun by the Earth. This is to counteract the orbital decay which is caused by the slight atmospheric drag at the ISS's altitude. Despite each module of the International Space Station being under the jurisdiction of the country that owns it, there are some laws that apply to the entire station including copyright law and procedures for criminal prosecution. 17. The ISS (International Space Station), at approximately 450000 kg and 7.7 km/s orbital velocity, has a (kinetic) energy of 13,34 terajoules which is roughly 1/5 of the energy released by the atomic bomb that exploded over Hiroshima. 18. On the International Space Station, US astronauts drink recycled urine but the Russian refuse to. 19. The ISS was scheduled to be decommissioned in 2020 but the deadline was extended to 2030. 20. The ISS has it's own video library, featuring more than 500 movies. 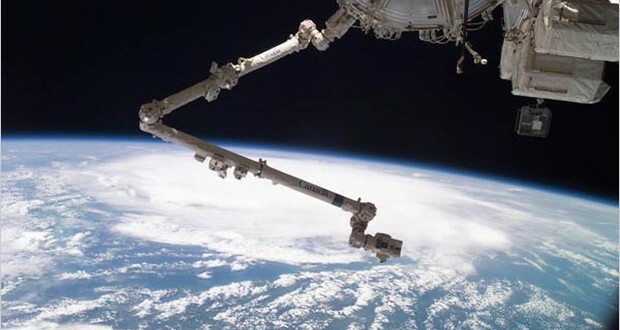 The international space station's 55-foot robot arm assembly is capable of lifting 220,000 pounds, which is the weight of a space shuttle orbiter. 22. The International Space Station has a treadmill named C.O.L.B.E.R.T. after Stephen Colbert. 24. The flight software of the International Space Station (ISS) "exceeds 1.8 million lines of source code supported on the ground [Planet Earth] by a test environment comprised of another 3.3 million source lines of simulation software, and 11 million source lines of test scripts." 25. For the safety of astronauts aboard the international space station, there is a protocol for evacuation in case of station failure. In case this protocol is followed they will escape via an emergency escape pod which will be a Soyuz spacecraft attached to the space station. The Soyuz design was used to launch the first man into space and it is regarded as the cheapest and safest method for space travel.